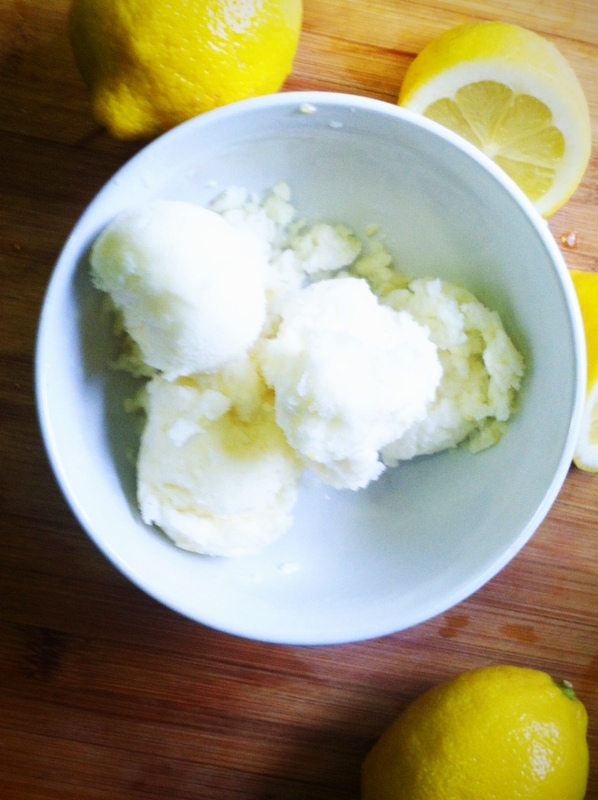 I made this A+mazing Lemon Sorbet this past weekend. I found the simple recipe over at Allrecipes.com and made a few adaptations. This sorbet is of course dairy and gluten free. The egg whites give it a creamy and fluffy texture and the addition of the grated peel enhance the lemony flavor. This is a low cal and simple dessert to polish off any summer meal. The egg whites are optional. Pour into an ice cream maker, and freeze according to the manufacturer’s instructions. Garnish each serving with a twist of lemon peel.